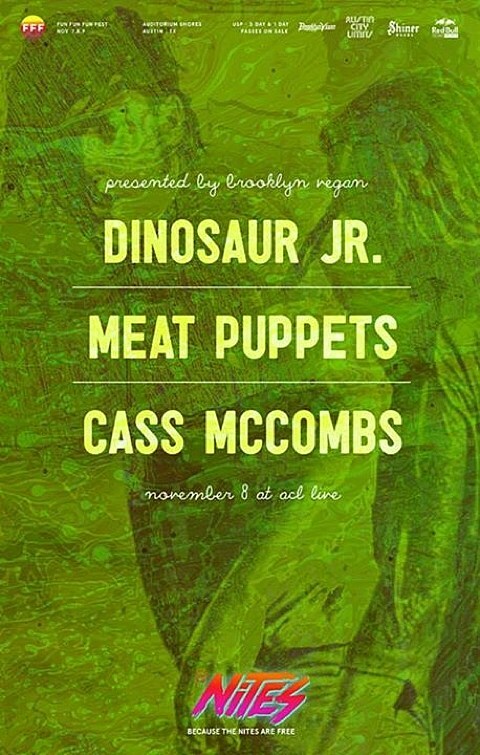 Dinosaur Jr and their old ’80s SST pals the Meat Puppets will be in Austin this weekend for a FFF Nites show, proudly presented by BrooklynVegan. Meat Puppets tourmate Cass McCombs is along for the ride too, making for a triple bill that we’re pretty excited about. It goes down Saturday (11/8) at ACL Live, and like all FFF Nites shows it’s free with a FFF wristband. Full fest and Nites schedule here.